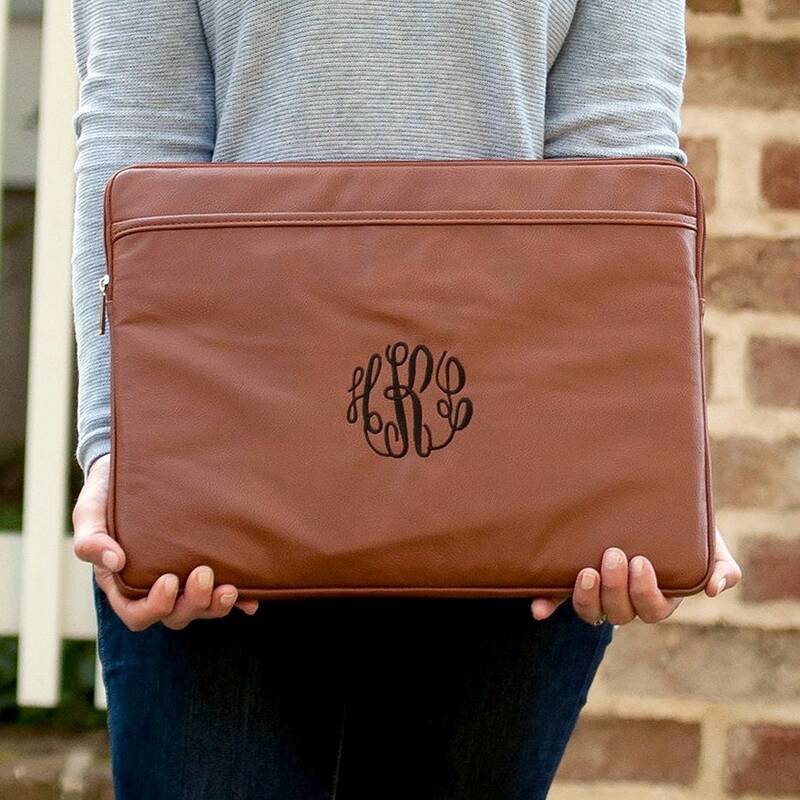 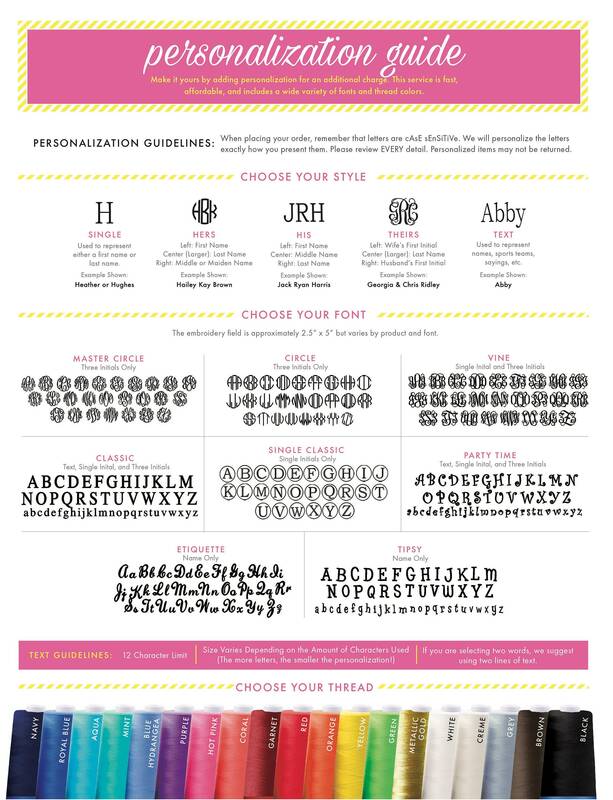 Classy and Chic, this monogrammed vegan leather laptop sleeve is a must-have accessory! 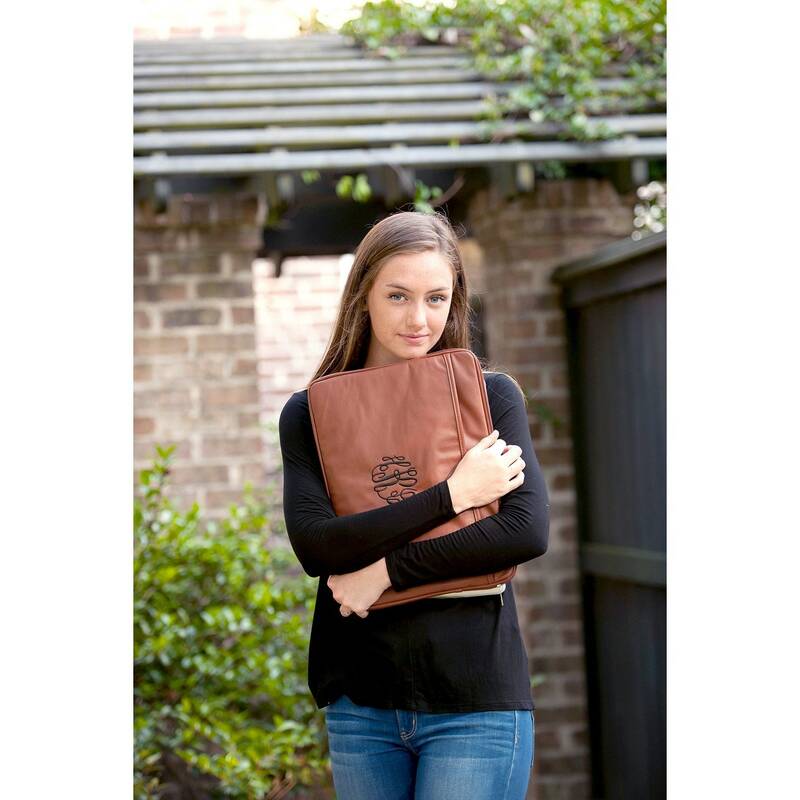 The sturdy material, protective padding and zipper closure add style and functionality to your day to day work essentials! 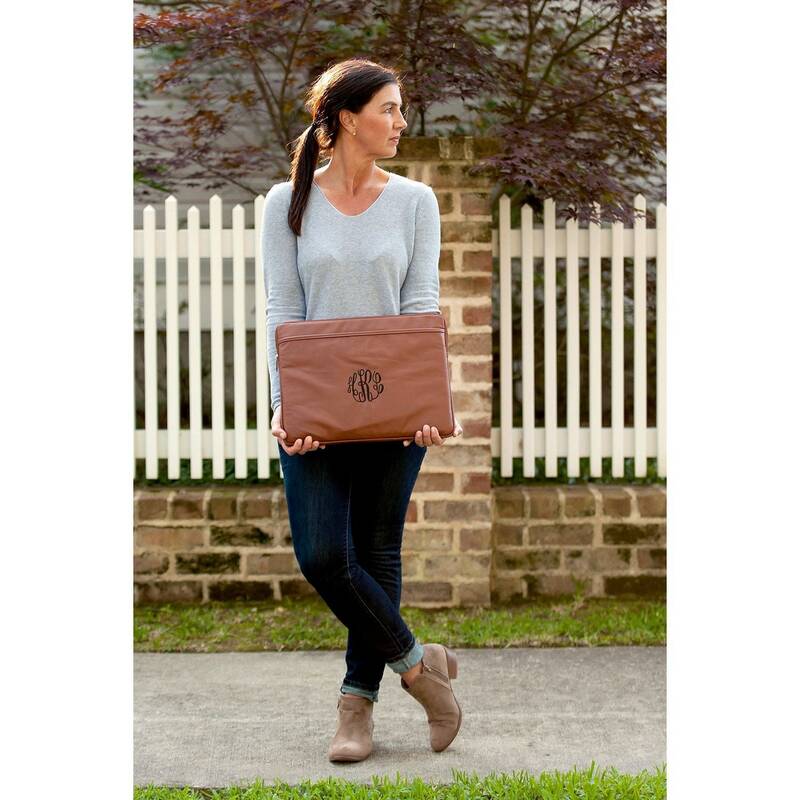 This laptop sleeve is destined to become a favorite!